Morgan McGuire, John F. Hughes, Kevin Egan, Mark Kilgard, and Cass Everitt. Fast, Practical and Robust Shadow Volumes, November 6, 2003. This paper picks up where Everitt and Kilgard's previous shadow volume paper left off. 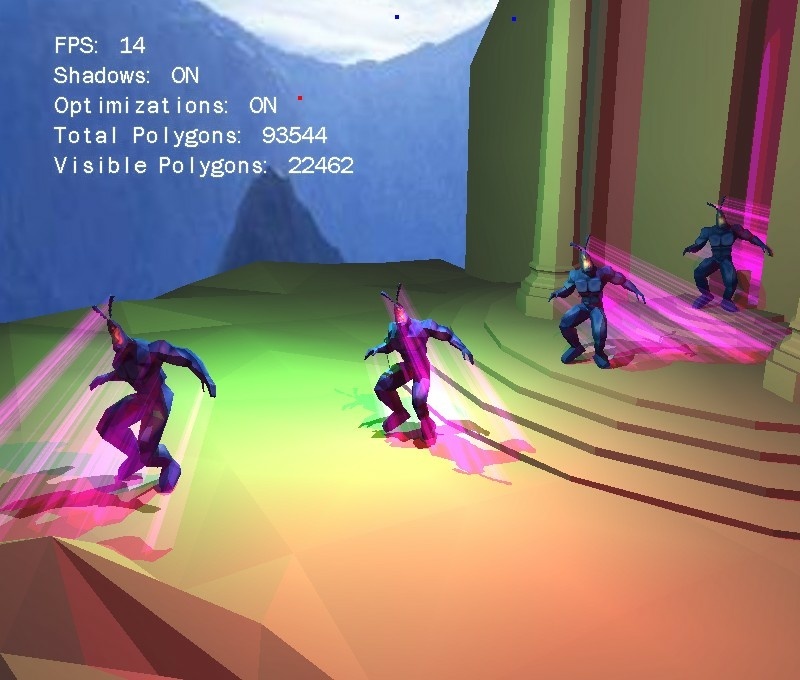 We show how to use vertex shaders, glDepthRange, the scissor region and agressive culling on the CPU to dramatically improve both the vertex and pixel throughput of shadow volume rendering. A theoretical analysis section shows that our method reduces the asymptotic time bound for the common cases from O(f) to O(s), where f is the number of shadow caster faces and s is the number of edges where a front-face meets a back-face, which is substantially smaller. The demo was produced by Kevin Egan and Seth Block using artwork by Sam Howell and Carl Schell. The research is part of the illumination project by the Brown University Games Group supported by NVIDIA.